What: Donation only acupuncture at the Wednesday Farmer Market, no paperwork fee for first time clients. How can I sign up? Schedule an appointment: crossroads.appointy.com Walk ins are always welcome as space is available. 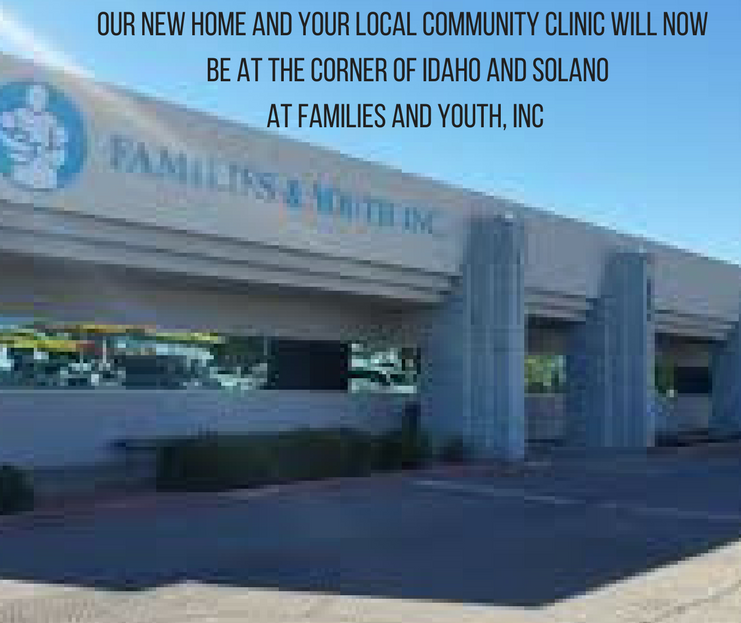 Why: In solidarity with 20 network Crossroads community clinics in the borderlands that right now offer free acu in low income neighborhoods, we’ll do the same here in Las Cruces. Thousands of treatments have been given in these clinics since 2011, services supported by client donations. Donations will be accepted at our Wednesday event throughout July, every penny of which will go towards supporting these clinics, and establishing new clinics specifically for survivors of violence. In June, the regional administrators for Crossroads’ network clinics received awards at an international acupuncture conference at Yale University for their efforts in reducing health disparities in the borderlands. There are an estimated 24 clinics that provide services for impoverished communities along the border. You can support their efforts by coming and receiving an acupuncture treatment at Crossroads. A percentage of every treatment Tues, Thurs, Friday and Saturdays, and on Wednesdays in July 100% of all donations received, will go towards towards establishing new free clinics like this. Yale Medical School, like Crossroads’ capacity building program, trains providers how to use ear acupuncture as part of mental health treatment. An estimated 30,000 providers have been trained in ear acupuncture for mental health, addictions and disaster relief worldwide. Donations made to Crossroads during June will provide scholarships for providers in the border region who cannot afford to pay for training. How does ear acupuncture help? One of the first places for acupuncture to be used in a mainstream western health care setting in the US was at Lincoln Hospital in New York City in the early ’70’s. Specific ear acupuncture protocols were developed here to use as adjunct to addictions, psychiatric and trauma care and today thousands of hospital, recovery and self help programs around the world have incorporated ear acupuncture protocols for clients. Click here read the Yale Medical School’s article on the Yale ear acupuncture clinic and training program. At Crossroads we work to reduce health disparities by providing affordable treatments and using this community model to support the expansion of free border clinics for people that have no access to an acupuncturist. We offer a sliding scale of $16-$41 per treatment. A percentage of every treatment will go to support network Crossroads clinics in the borderlands that operate in some of the most impoverished corners of our region. By getting acupuncture yourself, you’re helping your neighbors in your region, as well. Also, you can read more about a similar project to make acupuncture more accessible by our colleagues in Victoria British Columbia.